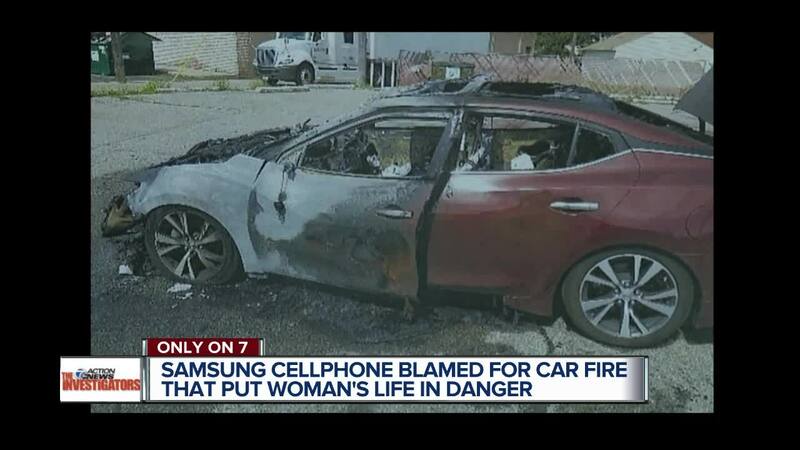 A Detroit woman is blaming her cell phone for a fire she says destroyed her car and almost took her life. “I was driving down Evergreen. Out of the corner of my eye I saw a spark” says the woman who’s asked us to conceal her identity. She says on the morning of May 21st, she had two cell phones sitting in a cupholder when one of them caught fire. “Samsung Galaxy S4 and Galaxy S8. I thought I was going to die when I saw the sparks and the fire,” she says. 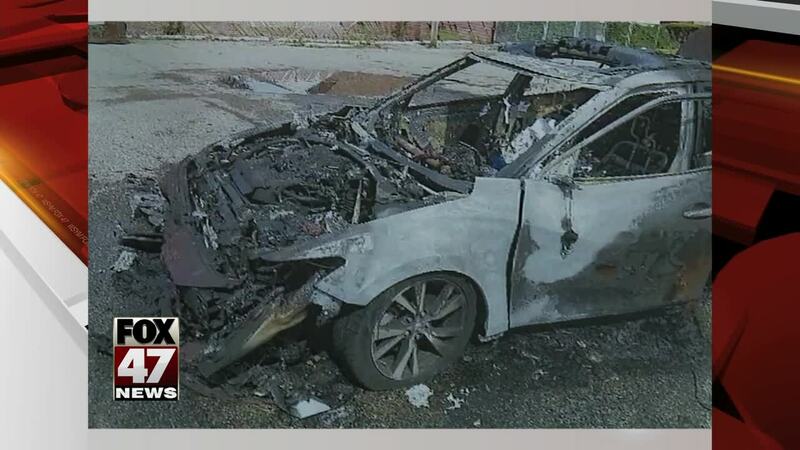 She quickly pulled over and got out as flames engulfed her Nissan Maxima. “It happened quickly. It just went up in flames. People were telling me to get away from the car. What if I was on the highway stuck in traffic and couldn’t get out?” she says. We verified her claims with reports from the Detroit Fire Department. Attorney Gerald Thurswell says his client still suffers emotional scars and trouble sleeping after the scare. While searching online, we found similar complaints about Samsung phones, some that were even banned from airplanes. But, Thurswell says neither of the phones are on a recall list. “We’ve contacted Samsung. They’ve been very responsible and sent a crew to examine the car and portions of the phone. Once it’s determined which of the phones and that one is recalled, we’ll probably save lives,” says Thurswell. We stand behind the quality and safety of the millions of Samsung phones in the U.S. We are eager to conduct a full investigation of this matter and until we are able to examine all of the evidence, it is impossible to determine the true cause of any incident. So far no lawsuit has been filed. We’ll stay on top of this to bring you the latest developments as they happen.